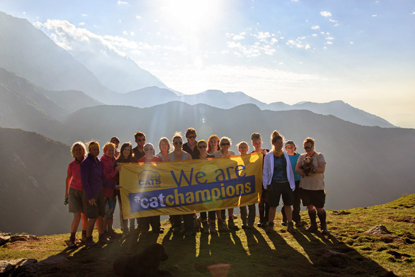 On Saturday 13 October, 10 fabulous Cat Champions will travel to India to trek through the Himalayas and spend time with a tiger conservation project, all to raise money for Cats Protection. The team have been busy fundraising for the past 18 months and have so far raised an incredible £40,000 to help unwanted moggies in their local communities. Naomh is going to India in support of her local St Neots, Huntingdon & St Ives Branch and has been getting creative with her fundraising from day one. She has had lots of fun hosting a Pawsome Afternoon Tea, selling items at car boot sales and on eBay and even auctioning off a tiger painting created by a well-known local artist. She also asked people to donate Tigger toys to create a huge Tigger tree display, and then sold the toys to raise funds. All of this amazing work has resulted in Naomh surpassing her fundraising target by £300. To read more about how the team’s fundraising is going and find out their individual reasons for taking on the challenge, visit their group JustGiving page. Cats Protection offers supporters the opportunity to take part in a big cat international challenge every year, each time helping to raise in the region of £60,000 for the charity’s important work. 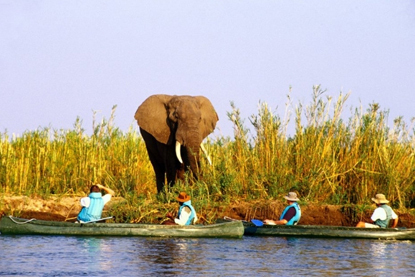 The next challenge will involve a trip to Africa to spend three days canoeing down the Zambezi River and then visit a lion conservation project in Livingstone. You’ll also get the chance to spot other magnificent wild animals on a safari tour. If you’re worried about not raising enough funds for your challenge, Cats Protection’s Events team can help to support you every step of the way. Kelly Eyre, 27, from Wales was one of the first people to sign up for the 2017 Himalayan trek and tiger conservation project. Kelly worked as a Cat Care Assistant at Cats Protection’s Wrexham Adoption Centre for three years before studying to become a vet nurse. At the time she worked at the vet practice that looks after the cats in the centre’s care and has adopted a couple of unwanted moggies of her own, called Jelly and Smokey. As well as raising much-needed funds, Kelly motivation was that training for her Indian adventure would also help her to shed a few pounds and improve her fitness. “Anybody who knows me will know full well that I DO NOT like walking up hills or any slight incline, and I can't even make it to the top of Moel Famau!” said Kelly. 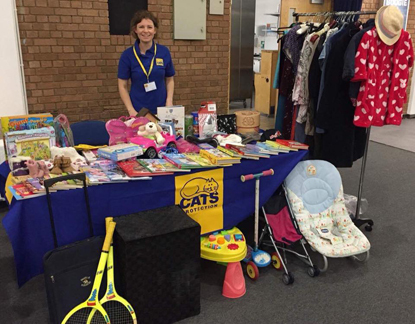 “When this opportunity arose, I thought it was the ideal thing to inspire me to get fit while raising money for Cats Protection at the same time. Roz, the Assistant Manager of Cats Protection’s Nottingham Adoption Centre, and local cat lover Yaz also took part in the 2017 Himalayan trek. “Here at Cats Protection’s Nottingham Adoption Centre, we have average veterinary bills of around £3,000 per month,” said Roz. “This means that we really do rely on people to fundraise for us to help us continue our vital work. The money raised helps us provide a second chance in life for all of the numerous cats in our care. While a new home is sought, we rely on donations and raised funds to ensure every cat is kept warm and loved, is fed and, if necessary, receive veterinary care. “Cats Protection’s national commitment to a wide range of programmes that include vaccination, microchipping, neutering and passing on the need for responsible cat care to owners of all ages, would not be possible at our local level without the help of people like Yaz fundraising for us.